When I was mere squirt of 18—a budding audiophile and therefore a devoted reader of this magazine—the first live opera I ever attended was Wagner’s Das Rheingold. That was here in San Francisco, and I was lucky enough to have an encouraging distant cousin purchase my aisle seat ticket somewhere roughly Row G in the front orchestra section. The evening was magical enough for me to still recall the hushed silence from which the rumble of that famed E-flat orchestral prelude swirled and swelled, as if emerging from the very depths of the earth, or at least a musically imagined Rhine. Two-and-a-half hours later, as the gods entered Valhalla across a decidedly silly-looking rainbow bridge, I was well and truly hooked. Over the ensuing decades I’ve maintained something of a love/hate affair with Wagner’s music, weaving back and forth between times of either enraptured immersion or dismissive withdrawal—the latter being my Wagnerian state for the last several years. Until recently, that is, when I found myself perusing the latest edition of TAS’ Super LP List [Issue 283]. Spotting the Speakers Corner reissue of the famous Knappertsbusch-conducted Parsifal from the 1951 Bayreuth Festival—a highly natural-sounding mono set—I felt Wagner’s powerful tug yet again, and was lucky enough to track down a sealed copy of this out-of-print title. Played back through the VTL S-200 Signature amp—mated with the company’s outstanding TL5.5II Signature preamp that I wrote about so enthusiastically in March of 2015—the Act One Prelude, surely among the most ethereally beautiful quarter-hours of music ever written, just about took my breath away. Or to put that more accurately, it actually changed (slowed down) my breathing, which of course perfectly reflects the pulse of the music itself—the silent pauses that Wagner wrote between sections as the prelude slowly builds, then relaxes, then builds again, before the opera proper unfolds. The prelude informed my initial thinking about the S-200 in many ways. First off, as we get from today’s best gear, it’s notably lacking in electronic hash, noise, and the kind of low-level, nay, nearly silent but nevertheless still present detritus that oh-so-subtly gets between us and the musical experience—a harder task for tubes than it is for solid-state gear. The VTL S-200 allowed not only a fair semblance of the famous Bayreuth acoustic to appear in my room between my Maggie 1.7s—the orchestra warmly aglow under that theater’s famously covered pit—but also gently layered the shimmering, rosiny strings, rising like a fine mist on a morning mountain lake; it also conveyed the rich harmonics of the brass choirs, which reminded me of the warmth of the sunshine that follows. In a word, the presentation was gorgeous. Yet most importantly, the S-200 delivered the emotional power of this score’s—OK, I’ll just say it—deeply spiritual nature. Before I talk more about the sound, let’s see what makes the S-200 tick. Priced at $12,500, measuring a reasonably tidy 18.5" x 9" x 18", and weighing in at a still fairly hefty 105 pounds, the S-200, as the name implies, is a 200Wpc stereo tube amp. 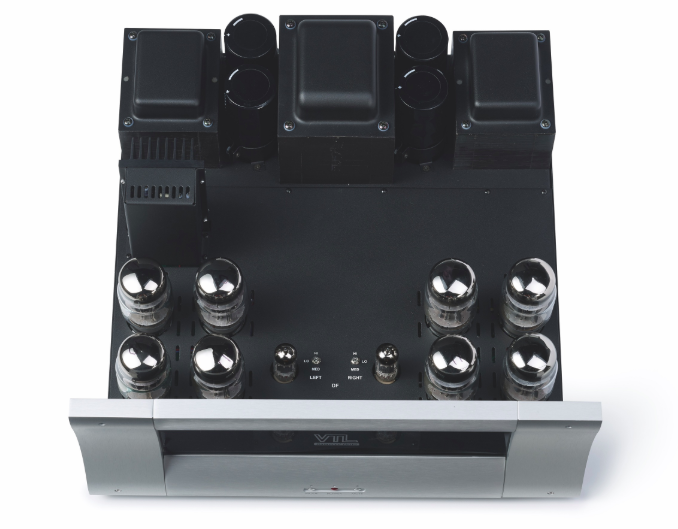 Based on technology found in VTL’s far pricier MB-450 and MB-185 Series III Signature monoblock power amps, from which its basic design, fully balanced circuit topology, and parts selection derives. As of their latest incarnations, every product in the Signature range not only features fully balanced differential circuitry and zero global negative feedback, which not only ensures each amp’s stability under a wide variety of load conditions, but, according to Manley, also brings them that extra something— call it musicality—that draws us more deeply into the listening experience.